I’ve been dabbling with creating recipe videos over the past few months. I’m not an expert, but I’m having fun with it and learning lots. I recently purchased a new tripod to use with my smartphone to create overhead shots. In the past, I was standing on a ladder handholding my phone to take the videos. It was not the best set up and no matter how still I tried to stay, the video always looked shaky. My new set up is 100x better. 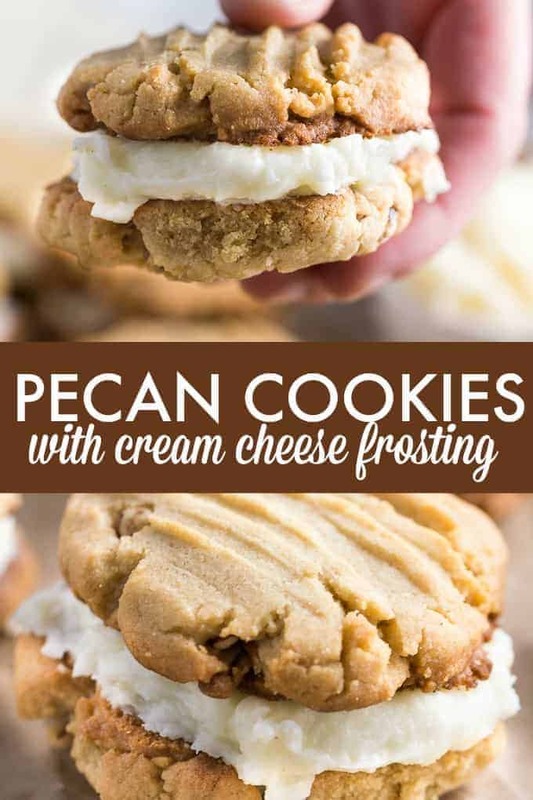 My cousin and I tested it out with these yummy Pecan Cookies with Cream Cheese Filling. My cousin is the one doing all the prep work in the video and I’m on the ladder taking the video with my new tripod. The cookies turned out great! 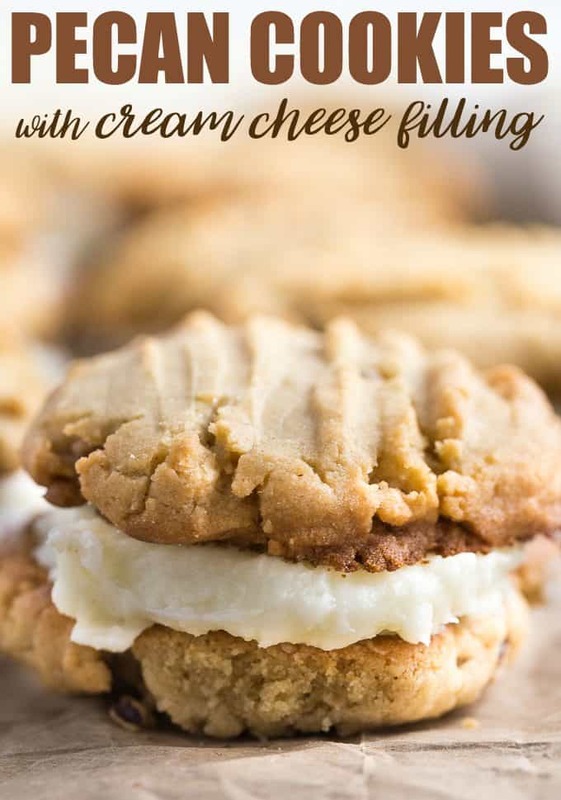 They taste like two sugar cookies with a nutty pecan flavour and inside is a sweet and smooth cream cheese frosting. Check out the video below to see the cookies come to life. I hope to share more recipe videos with you over the coming months! Enjoy! 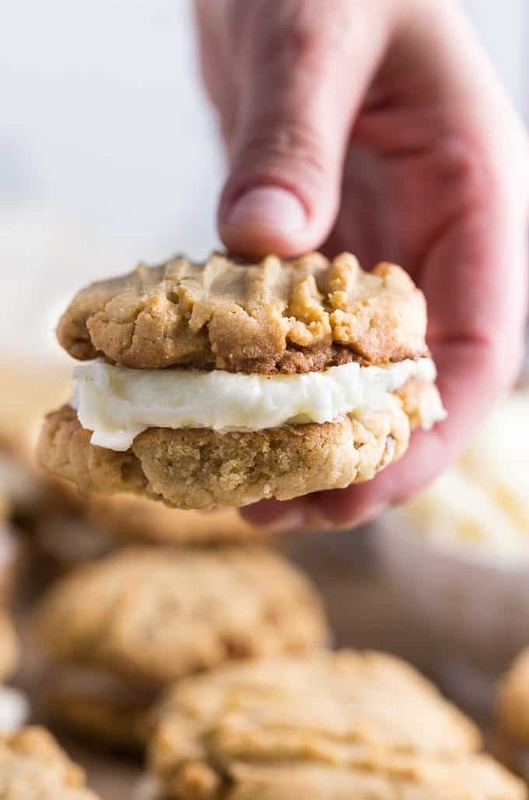 Think sugar cookies with a decadent nutty flavour and rich, smooth cream cheese frosting. Preheat oven to 375F. Grease a baking sheet and set aside. In a large bowl, add brown sugar, white sugar, butter, eggs, baking soda, salt and vanilla extract. Beat on medium speed until combined. Add flour to mixture in three parts, stirring in between. Stir in pecans. Roll cookie dough mixture into 1 inch balls and place on baking sheet. Flatten with a fork. Bake for 10 minutes. Place on a baking rack to cool. Beat together cream cheese and icing sugar until smooth. 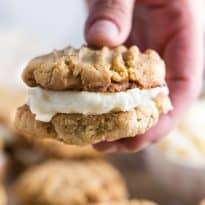 Spread filling on one cookie and put together with another cookie like a sandwich. I have to make these cookies! My kids would love them and they look so delicious! Thanks for a awesome recipe!! omg these sound amazing, anything with cream cheese icing is going to be awesome. Its like a universal law or something. Oh my goodness, these sound so delicious. Thank you for this recipe. These sound super delicious. I love cream cheese fillings. These sound like my kind of cookies and I’m going to have to try them very soon! These cookies look delightfully light, I’d substitute walnuts for the pecans as I’m not keen on those. Thanks for sharing a great recipe with wonderful photos again. These sound fabulous! I’ve pinned this to try soon! These look fantastic! Great photos! Thank you for such a delicious cookie recipe. As soon as I read the recipe, I saved it to my favorites. Thank you for this and your other recipes. This is a glorious looking cookie and very substantial. I have already saved this recipe to my favorites. Thank you for this delicious recipe.